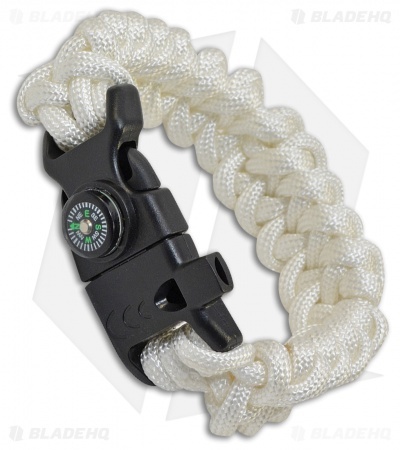 Great for survival situations the Camillus Cuda Mens Bracelet Small offers multiple useful tools for many emergency scenarios. Made of white polyester paracord and black polymer locking clasp. Metal Cuda logo plate, compass, and emergency whistle.